When Is Jefferson Davis' Birthday 2019? Is Jefferson Davis' Birthday a Public Holiday? Jefferson Davis' Birthday is a public holiday in some areas (see list below), where it is a day off and schools and most businesses are closed. In other areas, Jefferson Davis' Birthday is a normal working day. Jefferson Davis' Birthday commemorates the life and work of Jefferson Davis, who was president of the Confederate States of America. Alabama celebrates Jefferson Davis' Birthday on the first Monday in June. In Florida it is a legal holiday on June 3. Other states, such as Kentucky, do not officially observe but informally celebrate the day. Jefferson Davis' Birthday is combined with Memorial Day in Mississippi on the last Monday of May. Events include reunions for associations linked with Jefferson Davis and the crowning of “Miss Confederacy” at the Jefferson Davis State Historic Site in Kentucky, where a concrete obelisk stands near the site of Davis' birthplace. Jefferson Davis’ Birthday is a state holiday in Alabama. Public offices are closed, as are schools and many businesses. This observance is combined with Memorial Day in Mississippi. After serving in the Mexican War and serving as Secretary of War, Jefferson Davis was chosen twice to the US Senate, finishing neither term. When the Confederacy seceded from the Union, Davis was chosen as its leader. By popular vote on February 22, 1862, he became the only president of the Confederate States of America. Davis is considered by many to have mismanaged the Confederacy and its conduct of the Civil War. After fleeing the capital in Richmond near the end of the war, Davis was jailed for treason, and afterwards led the life of a business entrepreneur and author until he died at the age of 81 in 1889. There are some links between Jefferson Davis’ birthday, Confederate Memorial Day and Memorial Day. By 1916, 10 southern states marked June 3, which was Jefferson Davis' birthday, as Confederate Memorial Day. 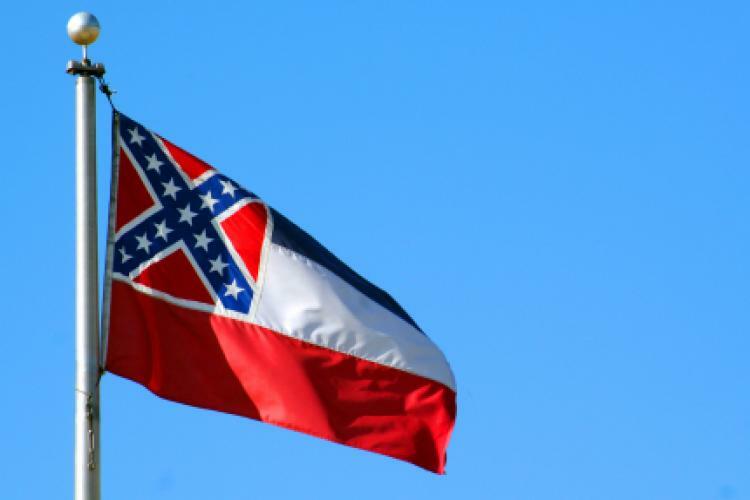 Mississippi observes Jefferson Davis’ Birthday in conjunction with the Memorial Day federal holiday on May 26. The Jefferson Davis National Highway in the United States and Jefferson Davis County in Mississippi were named in honor of Jefferson Davis. A 351-foot (107 m) tall concrete obelisk at the Jefferson Davis State Historic Site in Fairview, Todd County, Kentucky marks the site of his birth place in what was then Christian County, Kentucky. There are statues of Davis in many places in the United States, including the Alabama, Virginia and Kentucky State Capitols. The Confederate flag is used by many to symbolize Jefferson Davis Day. It is defined as any of the flags used by the Confederate States of America. This includes: First National or Stars and Bars; Second National or Stainless Banner; Third National; Bonnie Blue Flag; Confederate Battle Flag; and the Confederate Naval Jack.